Need to send beautiful flowers to Sydney from Singapore? Pure Flowers is here to help. 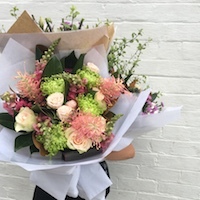 We hand-select the freshest blooms from the Sydney Flower Market to create stunning arrangements, luxury flower boxes and Australian native bouquets. Pure Flowers is an award winning boutique florist. Our expert and friendly team delight in creating unique designs to help you celebrate life’s special moments. We have a fabulous selection of flowers for you to choose from - stunning bouquets, Luxe rose boxes and blooms in a vase. Whether you call or buy your flowers online, our team will design your order in our florist.